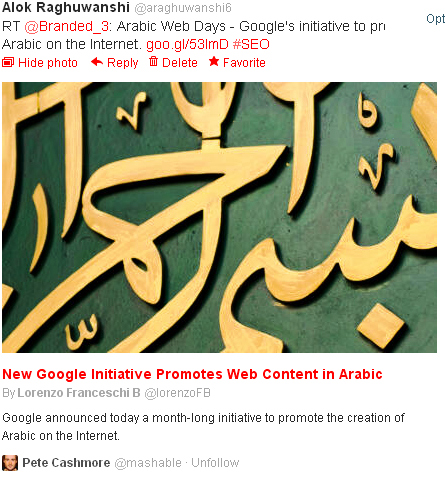 Google announced today a new step to promote Arabic Content on the web. The research is know as “Arabic Web Days” and is designed to improve the quantity of online content in Arabic, a language that is under-represented on the Internet. For all internet marketers looking to ranking some traffic from other search engines and not just Google there is a good news, Bing has released its first set of webmaster guidlines, offering webmasters general guidance on best practices related to SEO for Bing’s search engine optimization. Search Engine Optimization all about getting the more traffic which means more readers, higher value on your site indirectly more money to you. News sites should be spending a lot of time on search engine optimization. SEO is one of the most cost effective ways to attract new readers and turn them onto a loyal customer base. URL Optimization: When you are creating new page or posts, make sure to place keywords in the URL which are most likely to be searched by the users. Optimizing URL makes it search friendly and indirectly it increases search engine traffic. The URL of every article must also include a unique number that it is at least 3 digits long. Content Optimization: Search engine loves rich and fresh content, if you write unique, keyword rich articles within a well optimized template, these articles will rank incredibly well than others. Make use of headings which best describe you web page content. Optimize content according to the guidelines from Google, maintain proper keyword density i.e., 1.5 – 2.5% and also if you want you can use Keywords in headings, body text, and image title text. Commas are used to separate keywords and this is the only punctuation allowed in this field. All keyword empower same value. Keywords can be used to clarify between like terms. This is possibly the most useful feature of the new tag; publishers can notify Google when an article is not relevant to a similar topic. Each article you can add up to ten phrases. Add Videos, Images: Insert images in your news website and also name them with the keyword. Optimize images by putting alt tag which makes your image read by search engine. Try and upload a video as well a part of your news website, make your video understandable to search engine by including text includes specific keywords etc. Social Media Elements: Social engagement is now a part of optimizing your website which brings the most of the traffic. Social media is now a part of SEO, Social sites help more in bringing traffic and is the best platform to increase you brand and is best for promoting news websites. Google News Specific Sitemaps: XML sitemaps are the best to tell search engine about any URL in your website. For news website there is separate NEWS Specific Sitemaps through which we can pass related information to the Search Engine. Linking: Linking is very important and effective means to rank highly on a search engine. Search engine loves links and relies heavily on quality links to index content, if some other news website points link to your website it’s very effective. As told earlier social media is also a part SEO, so Google also love links from social sites like Facebook, Twitter etc. These links are quality oriented and have much importance in eyes of Search Engine. When you update some posts make them point back to your site which is the best linking you can involve in your linking process. Publish good, informative unique and mostly article on time to propagates your website ranking. Involve the above tips in your news website and most important avoid black hat technique keyword stuffing, identical content, link spamming etc. 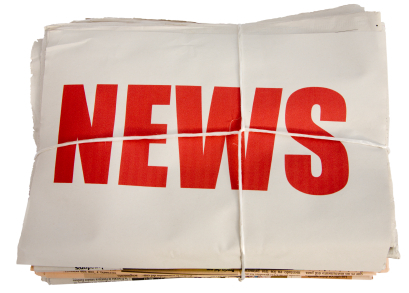 Always keep updated and fresh content uploaded on your news website to gain high ranking in search Engine.